Are you seeing the same support issues come up over and over for your SaaS product? Revenue stagnation? Low Conversions? A high rate of shopping cart abandonment or customer churn? How about less than thrilling engagement rates in your B-to-B SaaS platform? All of these problems can be symptoms of underlying design issues. And by design, I’m not talking about strictly interface or visual designs (although they are almost always a factor!). I mean the overall structure of your product or service’s relationship with your audience and your business goals. UX Strategy delivers insight into business challenges and provides the tools to transform pain points into wins. 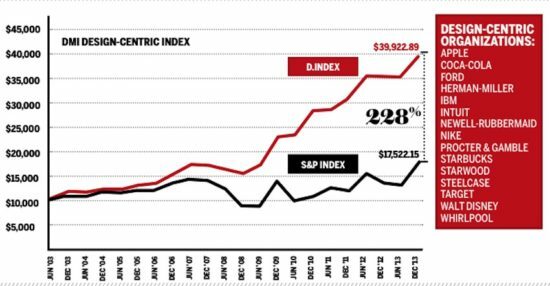 According to a recent report, design-driven businesses that have embraced design thinking as an integral factor in their operations have outperformed the S&P Index by 228% over the last decade. As audience expectations of an organization or product continue to evolve, their expectations of their relationship with the companies they do business with becomes more sophisticated. …all of which are measurable, replicable, strengthen your bottom line, and improve your audience engagement. I’m interested! How do we get started? Please send me an email at kevin [at] experiencedesign [dot] works with a brief description of your project. From there we’ll hop on a call and see if I’d be a good fit for you and your project! Exclusive articles, musings, pictures, industry info & insights.